Lawyer Profile - Attorney Sarasota, Bradenton - Douglas A. Peebles, P.A. AV® Preeminent™ Martindale Hubbell Peer Review Rating in the areas of litigation, commercial litigation, construction law and general civil practice. Mr. Peebles serves as a hearing officer to determine the outcome of administrative law and contract disputes between contractors and Manatee County Government. 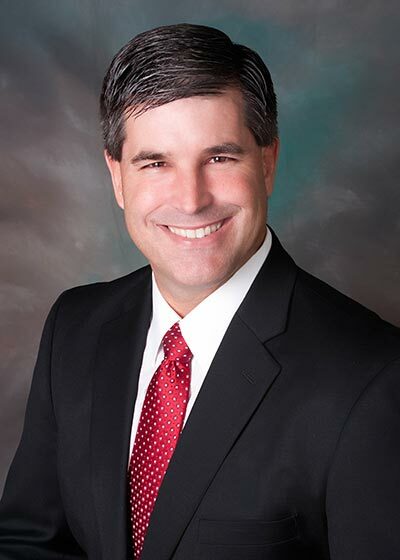 The distinction of Board Certification in Construction Law, by The Florida Bar, identifies Douglas A. Peebles, Esquire, as an attorney with special knowledge, expertise, skills and proficiency in construction law, as well as a reputation for professionalism and ethics. Douglas A. Peebles has dedicated his entire life to the construction industry. Working as an electrician in his father’s electrical contracting business from ages 6 to 20, Mr. Peebles literally grew up in the construction industry. Douglas A. Peebles is a graduate of the University of Florida’s prestigious, M.E. Rinker, Sr., School of Construction Management, where he graduated at the top of his class with highest possible honors, earning the degree of Bachelor of Science in Building Construction. As a construction superintendent, project manager and regional construction manager for a large national development company, Mr. Peebles has successfully managed and constructed over $150,000,000.00 in high-rise, parking garage, commercial and multi-family construction and development projects. Douglas A. Peebles has held a Class “A” Florida General Contracting License since 1988. In 1995, Mr. Peebles began practicing construction law throughout Florida and has achieved the prestigious ranking of Board Certification in Construction Law along with an AV-Preeminent ™ Martindale-Hubbell Peer Review Rating, the highest rating afforded for legal ethics and abilities in construction law, business law and litigation. Of the nearly 100,000 licensed Florida attorneys, barely 400 are Board Certified in Construction Law. Of those 400, few, if any, possess the actual skills and experience of Mr. Peebles in the construction industry. Having personally worked for over two decades in the construction industry, Douglas A. Peebles has experienced first hand and understands the unique challenges that you face as a professional in the construction industry. A staunch advocate for his clients, Mr. Peebles has successfully handled a vast array of construction legal matter for various construction professionals since 1995. He has successfully litigated complex construction defects cases, lien law enforcement cases, payment and change order disputes, delay damage claims, defective concrete and roof claims, water intrusion and mold claims, license defense, construction injury claims, condominium warranty defense claims, and numerous other construction litigation cases on behalf of the construction professional. He routinely handles contract preparation, project startup, project management and project closeout matters. He has represented owners of multi-million dollar projects and has successfully guided them through the complex construction process and helped them overcome all legal obstacles and requirements for a successful project. Mr. Peebles assists his clients with the ongoing business management of their companies, including organization and setup, mergers, conversions, business purchases and sales. It has become routine for construction industry disputes to now involve personal claims against individual owners and professionals in addition to the claims against their businesses. Mr. Peebles has often used his skills to protect and preserve the assets of the individual professional and to successfully defend the claims against them. Mr. Peebles has also been active in supporting the construction industry by serving as a member of and participating in numerous trade and industry organizations. The Gulf Coast Builders Exchange, Sarasota Manatee Roofing and Sheet Metal Contractors Association, the Community Association Institute, are some of the organizations in which he has been involved. Mr. Peebles has received the certification as OSHA Safety Trainer after completing training at OSHA headquarters in Chicago, Illinois. National Association of Home Builders NAHB. Community Association Institute – CAI. Mr. Peebles resides in Manatee County, Florida with his wife and two sons. He enjoys outdoor activities including salt and fresh water fishing, flyfishing, cast-netting, hunting, and attending sporting events in which his children participate. Mr. Peebles is a classic car enthusiast and enjoys the restoration of antique and classic automobiles. Mr. Peebles has fully restored a 1953 Willys CJ3A, a 1960 Corvette, a 1967 Chevelle SS, and other automobiles. He also enjoys computer technology and has designed, built and maintains most of his own computer and network systems. He is a parishioner of Sts. Peter’s and Paul’s Catholic Church. Mr. Peebles has dedicated over 20 years to the service of the Manatee County Girls Club, Inc. and the Manatee County Girls Club Foundation, Inc. Mr. Peebles has been active in Boy Scouts of America with his two sons. Mr. Peebles is an alumnus of Manatee High School and a fan and supporter of the Manatee Hurricanes Football team. He is also an alumnus of the the University of Florida and its renowned Rinker School of Building Construction where he graduated with highest honors and is a fan of the University of Florida “Gators” football team.